Life, Doctor Who & Combom: Jenna Louise Coleman Doctor Who Companion name revealed? Jenna Louise Coleman Doctor Who Companion name revealed? The Character herself is a feisty and flirty computer expert - and is said to be more than a match for The Doctor. 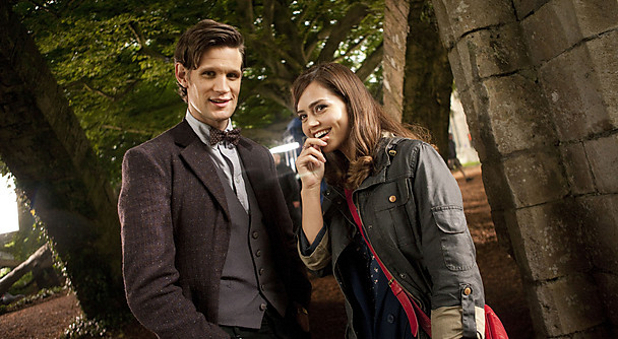 We have seen filming of Clara in Victorian clothing in more than 1 episode, both featuring Madame Vastra and Jenny. Edit: As much as I, Skaro, don't like the Daily Mirror...I just feel like this is true. - I know PCJ Disagrees. it a bit "Yorkshire", unless it will turn out top mean something in high gallifreyan or something?